And however much you esteem tradition, you have to acknowledge that the Council saw the preconciliar liturgy as inadequate and in need of reform. Of course he provokes discussion then gets mad at those who disagree with him, castigating them with his own snarky comments or simply deleting the ones he doesn't like and banning others who make more sense than he does. So much for academic open-mindedness! But what does he mean by "the preconciliar liturgy as inadequate and in need of reform?" This of course means that the laity weren’t actually participating in the Mass prior to Vatican II. They were either in a trance or praying other devotions. But in this country nearly 90% of Catholics actually attended the Mass in need of reform in the 1950’s, to include Catholics on the fringes of the Church and society, those in immoral situations and others who might have disagreed with this, that or the other. The mafia attended. In the reformed Mass today some parts of the country see only 12% of Catholics actually participating in the Mass by simply attending. There is a small percentage from the fringes but not like the percentages we saw prior to Vatican II. So 90% of all Catholics actually went to The Mass in need of reform because of its problems with so called clericalism and lack of verbal participation. Interesting, no? But does Fr. 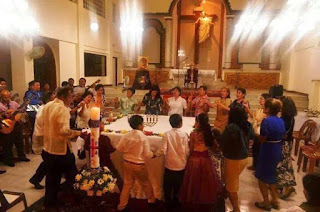 Anthony acknowledge the areas where the reformed Mass is corrupt not only in attracting only 12% of actual participation but where there is lack of reverence, sacrilege concerning the Eucharistic elements, Hosts taken home, discarded, dropped and Precious Blood spilled, contaminated and gulped. And the supercreativity that makes Masses different from parish to parish and priest to priest. What other problems with the new and improved Mass could there possibly be? You report your experiences. The notion that the TLM was thought to be inadequate by the Council is a bald headed overstatement. In retrospect we have the evidence for this conclusion from the devastation that the new rite has wrought in the spiritual life of Catholics everywhere. One might even say that today the Church exists even in the absence of the truest source and summit of Christian worship, the Mass of Ages. The Council was highjacked in many ways, not least when it came to the work of reforming the Latin Rite. The reform on the scale on which it came about we now was the work of a relatively small group of egotistical wreckers, some well meaning fellow travelers and Paul VI. It is a mystery to me why he allowed it to happen. His smoke of Satan remark proves he realized his mistake but was spiritually and otherwise lacking in courage to do anything about it. Some brave souls, most prominently, Benedict XVI and AB Marcel Lefebvre, rescued it and so, future generations as well as some of us today have a chance to carry on Tradition in worship, hopefully to the end of Time. Perhaps it didn’t adequately address the egos. Vatican II was a symptom, not the disease. The disease was and is secularism/humanism, which is still roaring forward unabated. The re-introduction of the TLM, SSPX, etc. are merely critters on the railroad tracks of the secularist locomotive which runs on the iron rails of the Enlightenment and the humanism that has evolved from it. I fear that traditional worship will remain a mere bonfire in the train yard. "the Council saw the preconciliar liturgy as inadequate and in need of reform"
Perhaps so, but the reformed liturgy we now have is not what the Council wanted. In fact, the Council did not want a reform, but a "restoration." But there is something much more insidious in this statement. 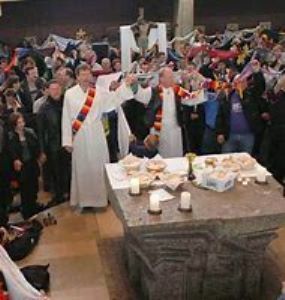 Maybe the Council through the influence of the Liturgical Movement wanted changes to the liturgy, but millions upon millions of people did not and walked out with their feet. So who was right, the people who walked out or the Council? How dare anyone make decisions for the people telling them what they think, how to think, when to think, deciding for god His union with people at worship? Maybe the Council should have stuck to what it was supposed to do, namely, make decisions on theological crises. The implementation of Vatican II initially could have brought about a new springtime for the Church. If it had stopped with the 1965 Missal, if priests nuns and other religious had simply modified their habits but kept their apostolates and community living and if devotions had been maintained rather than forcing people to use the Liturgy of the Hours (which only a small, minute do) and if there had not be chaos in the Church due to some of the external forces that the new Church embraced, I think we would be in a much better place today. But once change was introduced, the radicals in the Church went all out and alienated those who initially liked what was happening, especially with the 1965 Missal and small modifications to habits. So we lost them and their families and subsequent generations. Then the radicals who thought that because some things could change any and everything could change including defined doctrines and dogmas, became alienated when Pope Paul VI started putting breaks on their radical agenda. Thus two significant groups in the Church were angered by what was happening and we haven't recovered since. Yes, Gene, the Church fell victim to societal secularist humanism. And the culture inspired & led the Church rather than the Church inspiring and leading the culture. Faith and morals followed the lead. It all began with huge but fairly quiet societal changes following WWI and WWII, ramped up with the materialism of the 50s, and burst the balloon in the 60s, with the Church following suit. There was no '1965 Missal'. There was an interim rite which was authorized by the Consilium (Inter Oecumenici, 1964) until such a time as the complete reform had been accomplished. It was further revised in 1967 (Tres Abhinc Annos) by which time it was no longer recognizable as the Roman Rite. Those who imagine that the rite which was imposed on Lent I 1965 was the genuine 'Mass of the Council' are deluding themselves and have clearly not read the documents. Ruff is right about his 'paradigm shift' and the fact that subjective so-called 'pastoral' considerations trump liturgical tradition. It is obvious whenever one attends your average parish Mass. Has it borne fruit? One needs to reach a conclusion based on the evidence. There are far rewer Catholics in either total attendance or as a percentage of registered parishoners that attend Mass either regularly or at all after Vatican II. Was it the Catholics who were not participating that stopped attending? Alternatively, What is the percentage of Catholics that went to Confession prior to Vatican II versus afterwards? Since we can’t accurately determine internal participation except by what it excites externally, Is participation the Sacraments a good metric of internal participation? "The implementation of Vatican II initially could have brought about a new springtime for the Church." I fail to see this if you are talking about the liturgy. With active participation, the Mass became a classroom setting...if you understand the "lectures" you are saved; if not, the Mass needs more changes. Instead of active participation above all else, it should have been beauty above all else, because beauty attracts everybody, leading one to God if one accepts His Grace. Instead of judging the hearts of people, it should have been realised that the people were already participating at the liturgy in union with God in their own ways, from the illiterate to the particle physicists, each to his own capacity of appreciating the liturgy. The liturgy is not an idol despite what Sacrosanctum Consilium implies. And God is punishing the Church for this putting of people ahead of God in the liturgy. “This Declaration, setting out from a profound consideration of our contemporary reality, valuing its successes and in solidarity with its suffering, disasters and calamities, believes firmly that among the most important causes of the crises of the modern world are a desensitized human conscience, a distancing from religious values and a prevailing individualism accompanied by materialistic philosophies that deify the human person and introduce worldly and material values in place of supreme and transcendental principles. . . .
“We affirm also the importance of awakening religious awareness and the need to revive this awareness in the hearts of new generations through sound education and an adherence to moral values and upright religious teachings. In this way we can confront tendencies that are individualistic, selfish, conflicting, and also address radicalism and blind extremism in all its forms and expressions. “The first and most important aim of religions is to believe in God, to honour Him and to invite all men and women to believe that this universe depends on a God who governs it. . . . "
If the post-Vatican II changes did not send a nuclear bomb to the praxis and spirituality of the Roman church, things would still be a mess, but less so. There is so much divergence between parishes it's near embarrassing. 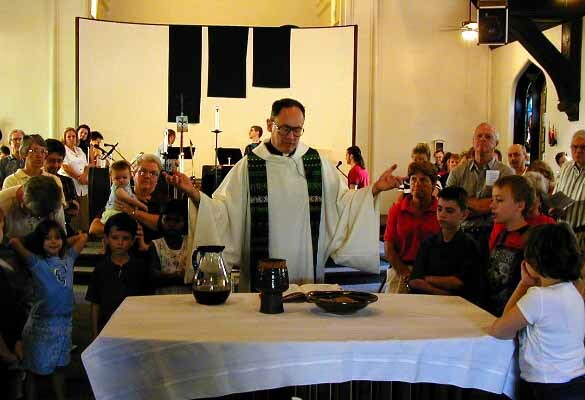 In most parishes, they're being deprived of the Scriptural propers of the Introit, Offertory, and Communion verses. In the vast majority of parishes, the music can barely be called Catholic. If we're perfectly honest, the idea that the Liturgy can be treated as some kind of toy that needs improvement is a major part of the problem Every change prior to the post-Vatican II changes, did not change the substance or praxis of the Roman Liturgy Liturgy was treated as something that is received, and not to be tampered with. The hilarious thing is that Rome will probably come to the point where it will allow what it should have allowed at Vatican II..the TLM (and its other uses) in full vernacular. Much of the destruction could have been avoided. However, I never really understand the need to go to a vernacular Mass. Most of us were adept at using the Missal which had a translation of everything that was being said or sung. I was trained by the nuns to sing several of the Latin ordinaries. Our school's normative Mass was the Missa Cantata. An extremely deleterious consequence of going all vernacular was the importation of truly trite and inferior music, plaguing us to this day. In my opinion, the real tragedy was the loss of the Latin chant and polyphonic music. I guess if you were a cleric, and incurious or not too bright, you were a derivative beneficiary of that development. Lastly, a truly silly and irritating development was the compulsive need to tell us what to do at each point of the Mass even though it was now in the vernacular. One of the great beauties of the EF was once the bell rang and the priest and servers entered the sanctuary, the Mass was on autopilot. What would be the point in having a 'full vernacular' Mass? When the priest prays submissa voce, especially in the Canon, he knows what he is saying, and so does God; we cannot hear, but thanks to the (genuine) liturgical movement we can read in the vernacular what he is saying. I was exceptionally literate as a child and so this presented little difficulty, but most people, especially in poorer countries with low literary levels, would struggle. So do we adopt the 1967 solution and have the Canon recited aloud, but in a vernacular paraphrase in non-literary style, in other words dumbed down? And what happens to the chant Propers and chant/polyphonic Ordinary in a sung Mass? Ideological opposition to sung Latin in most NO parishes means that music is restricted to metrical hymns and post-1965 Mass settings of little musical worth. Also, a fully vernacular Mass would be perforce a dialogue Mass, which would necessitate bringing the altar forward and logically celebrating versus populum.